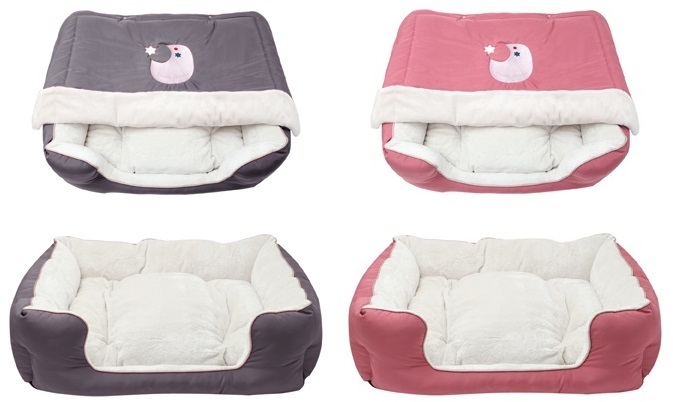 There is nothing cuter than this amazing Puppy Angel Bedroom Kit for cats or dogs. 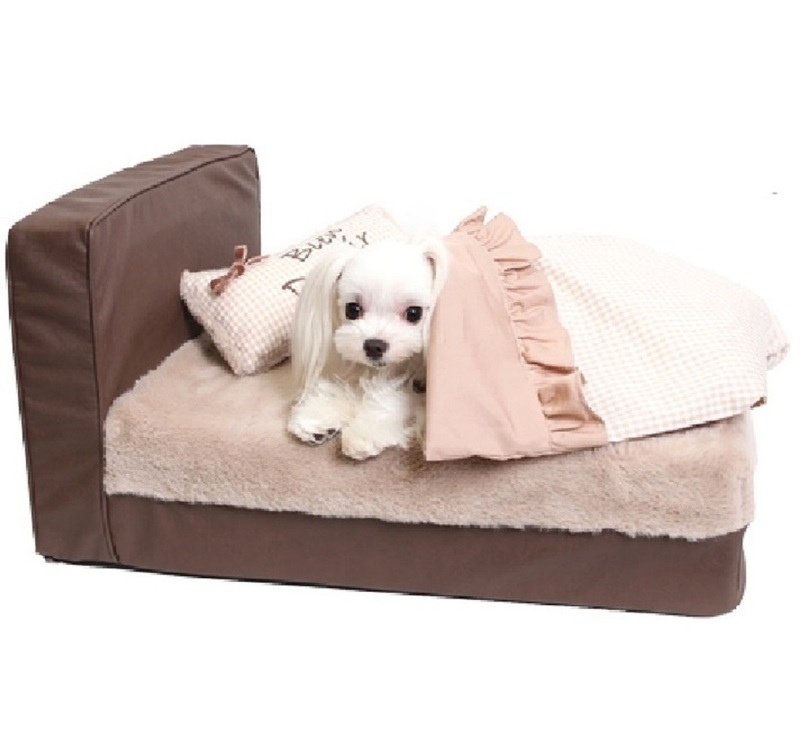 Made to look like a luxury divan the base and headboard is made from faux leather while the mattress is soft faux fur velboa. The bed comes complete with a matching duvet and pillow making it look just like a human bedset! The base has been treated to make it non-slip and the cover can be removed by way of a zip for cleaning. Looks just like a human bedset! 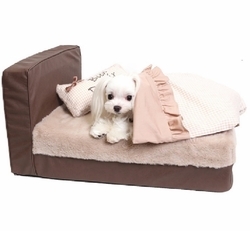 Note: Recommended for pets up to 20lbs to ensure the integrity of the bed is maintained.